^ now that. That right there. Funny stuff. That is. In other gallinaceous news -- our daughter, son-in-law, granddaughter, and their eleven spring chickens celebrated the arrival of their first ever egg last week. My neighbor's chickens free range on the golf course that adjoins their property. We may be seeing evolutionary influences in progress. 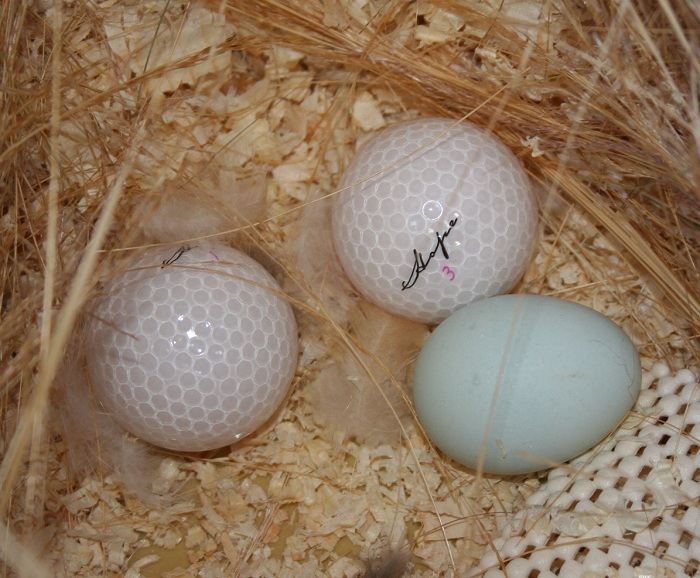 We gave my daughter (& son-in-law) some golf balls, at her request, when her hens were reaching "that age" -- puttin' a few golf balls in the coop helps to give the hens "ideas". Yes, roaches may someday rule the earth, but chickens probably will not.